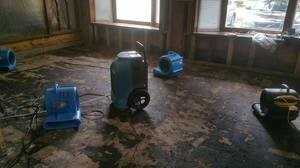 Water Damage Gresham | Get a free water damage estimate! 911 Restoration Portland owner Yoav Gueron knows the importance of having a licensed, bonded and insured restoration company on your side. Gresham residents are familiar with heavy rain and stormy weather. Their homes need to be protected from the water damage and mold growth that the elements may cause, and the water damage Gresham crew knows exactly how to keep their properties safe. Whether you experience water damage due to a ruptured appliance hose, cracks in the home foundation, bath tub overflows or leaky plumbing, the water damage Gresham pros will find the issue, fix it and leave your home looking beautiful. Having 35 years of experience in the home restoration industry has given us the knowledge we need to handle any water damage problem we come across. Time is of the essence when water is involved, so the water damage Gresham experts are constantly standing by available 24/7/365, to get to your home within 45 minutes of your call. This ensures that they can start the restoration as soon as possible, minimizing the amount of damage done to the home. Our IICRC certified operation knows exactly what to do when they arrive on any water damage scene, so you can rest assured that you are in good hands when you call the water damage Gresham pros. By taking precautionary measures you can decrease the amount of destruction that takes place if a pipe does burst or a washing machines does overflow. Below are some of the best ways that the water damage Gresham techs recommend protecting your home interior. Make sure your windows are caulked and sealed. This will prevent the outdoor elements from getting inside. A properly sealed window will stop water from seeping in and getting on possessions. Keep an eye on your roof. It may be easy to forget about what is going on above your head, but the roof is something that should not go overlooked. Make sure there is no damage, cracks or missing shingles. If you do find something, make sure it is repaired right away. Your downspouts have the ability to get clogged. Regularly remove dirt, leaves and guck that may trap water and cause it to flow into the home. Check your sprinkler system. Sometimes the constant spray from the sprinklers can damage the outside walls of the home. Make sure they are not causing any deterioration. Protecting the inside of your home from water is just as important has protecting the outside. You store everything you love inside those walls, and we want to make sure that they are kept safe. The water damage Gresham staff wants to reassure you that they have everything under control and that they will have your home looking better than ever in no time. We want to make you feel as good as your home looks when we are done with it. If you are worried about not being able to afford our services, then please keep in mind that we do offer free water damage estimates. 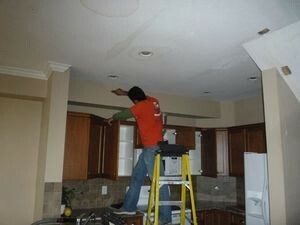 This allows us to work with everyone, even those who are unsure if they have water damage. We also work with all major insurance companies, ensuring every customer they can get the help they need. We will assist you in understanding your policy in order to get you the best coverage available. Let Yoav and his water damage Gresham professionals with 911 Restoration Portland give you the fresh start you deserve by calling us today!